After 40 years of hard work and dedication, Shimi is retiring. 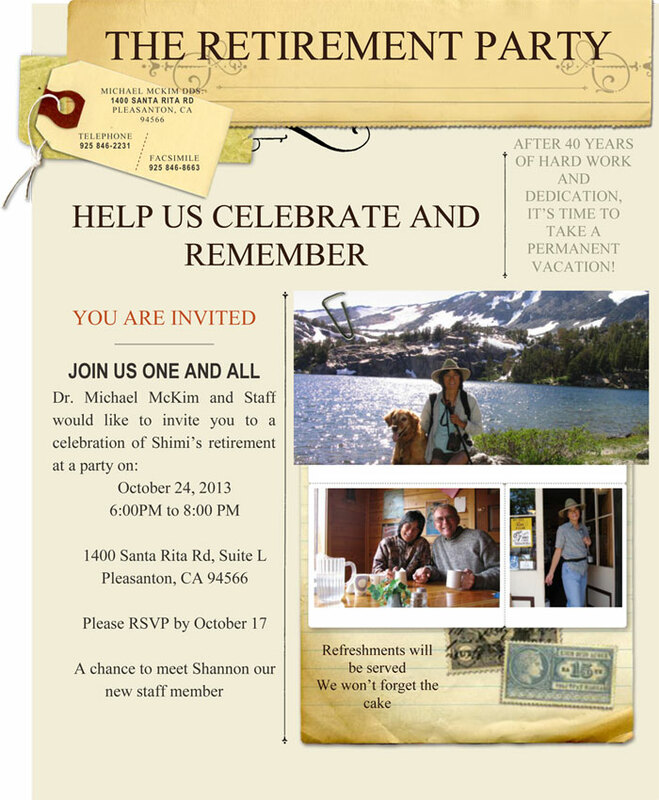 We will be throwing a party for her on Oct. 24th at 6 PM. 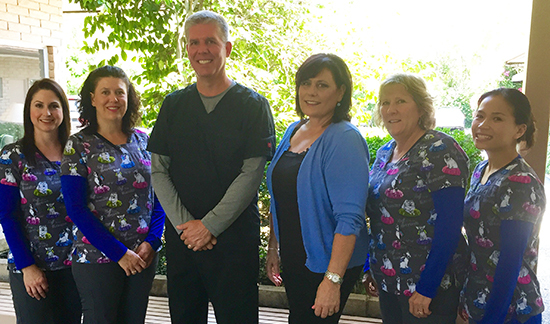 Located in Pleasanton, California Dr. Michael McKim, DDS has been meeting the dental needs of the Tri-Valley since 1994. To schedule your appointment with Dr. McKim, call the office today at (925) 846-2231. Have you ever looked in the mirror and dreamed of having a beautiful smile with gleaming white teeth? We will work with you along with our state of the art laboratory to help you achieve that smile you have always envisioned and more. At Michael McKim DDS, your oral health is always our top priority. With a full range of modern dental services, we can handle many of your oral needs. Dr. McKim has been serving the dental needs of Pleasanton since 1994, and has likely treated your friends and neighbors. Whether you have been avoiding the dentist, or you are looking for a new approach to your oral health, Dr. McKim and the rest of our staff are here to help! If you have questions, please call Dr. McKim’s office at (925) 846-2231.